Spending time with the last Renault Megane, if you can remember the car at all, was less welcome than the prospect of Donald Trump becoming US President, writes William Scholes. Well, almost. For the follow up to the mad-looking Megane which had the distinctive derriere, Renault came up with one of the most lacklustre designs ever created in its long and storied history. And, unless you went for the if-Porsche-did-hot-hatches RenaultSport versions, what lay beneath the drab exterior was unappealing. The Volkswagen Golf, Vauxhall Astra, Kia Ceed, Mazda 3, Ford Focus... the list of rival cars which were demonstrably superior in just about every way was a long one. Renault was going through a bit of a bad time when the last Megane rose without trace around 2008, but things are now looking a whole lot better for the French company. 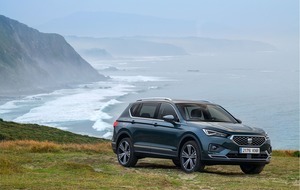 Today, it has a great range of cars; the Clio is better than ever, the Captur and Kadjar are among the most popular crossovers in Europe, the company's diesel engines are brilliant and it has once again found its design mojo. An all-new Megane is the latest product to provide evidence of Renault's rehabilitation. Where the previous car was forgettable and registered barely a flicker of recognition, let alone desirability, among punters, the new one certainly makes a style statement and demands attention. Importantly for Renault, it forces its way on to the 'must have a look at it' list for buyers contemplating something like a Golf, Astra or Focus. From the outside, the Megane definitely catches the eye. It's a riot of sharp creases and bold features like the C-shaped LED daytime running lights and distinctive rear light signature, with a stocky stance and spot-on proportions. It's not classically handsome in the way that the Mazda 3 is, but it's certainly not forgettable. The enormous in-yer-face Renault diamond badge on the grille typifies the confidence the company now has in its cars. The fresh approach continues inside, with the most arresting feature being the large, centrally mounted touchscreen. Of course, just about every car under the sun has one of these nowadays, but few have a display as large as that in the Megane and fewer still have them orientated like a portrait. It's not perfect - navigating between some functions takes one or two more taps of the screen than you feel it ought - but it does fit in with the high-tech image Renault is trying to cultivate. The touchscreen means the dashboard is pleasingly uncluttered by buttons and dials, which will please minimalists, and the digital dashboard in front of the driver is another cutting-edge touch. The general quality and feel of the materials used in the interior seems higher than previously seen on Megane models, with only an irritating rattle somewhere behind the dashboard near my right knee spoiling the upmarket ambience. The driving position is notably good, low slung and sporty. The weights of the major controls and steering are well matched and consistent. The back seat feels only about averagely roomy - we're not quite in Skoda Octavia territory here - which may be a problem if adults or tall teenagers form part of your regular cargo. If younger children are your more usual passengers, a word of warning about the so-called 'charcoal black cloth upholstery'; it shows up every speck of dust or dirt, aided by an almost retro-feeling velour effect which makes swiping away crumbs a task of Hercules. That being said, children will love the way the colour of the lights which highlight the interior can be changed. The back seats fold in a 60/40 split, with a highish load lip revealing a usefully large 384 litre boot - besting the Golf, Astra and Focus - which expands to 1,247 litres in small van mode when the back bench is folded. For now, engine choice consists of four options: two petrols, a 1.2-litre with 128bhp and a 202bhp 1.6-litre; and two diesels, a 1.5-litre with 108bhp and 1.6-litre with 128bhp. 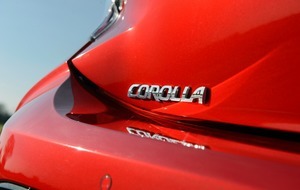 The test car was the likely most popular combination of 1.5-litre diesel with six-speed manual gearbox. In other Renault models, this engine has shown itself to be brilliant, and so it is in the Megane. It's just about brisk enough for everyday driving but is also genuinely frugal. By way of comparison, in my hands it was almost exactly as frugal as the similarly potent Mazda 3 1.5 diesel, with which I achieved 54.6mpg (see 'At a Glance'). The Megane isn't as much fun to drive as the Mazda, however. This is more a tribute to the Mazda's zesty handling and sports car-like demeanour than a criticism of the Renault, though, and the Megane is one of those cars that feels particularly well set-up for the idiosyncrasies of Irish roads. Comfortable suspension, predictable handling, light steering and an easy gearchange are among the factors that make the Megane an easy travelling companion. 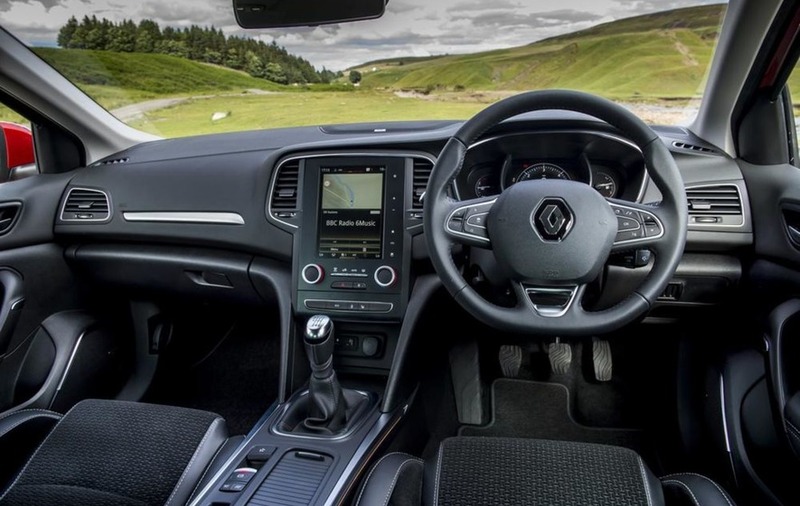 Safety has become a Renault hallmark in recent times, and the test car - in Dynamique S Nav trim - came with a plethora of lane departure warning and traffic sign recognition kit, as well as a handy read-out telling you how close you were to the car in front. 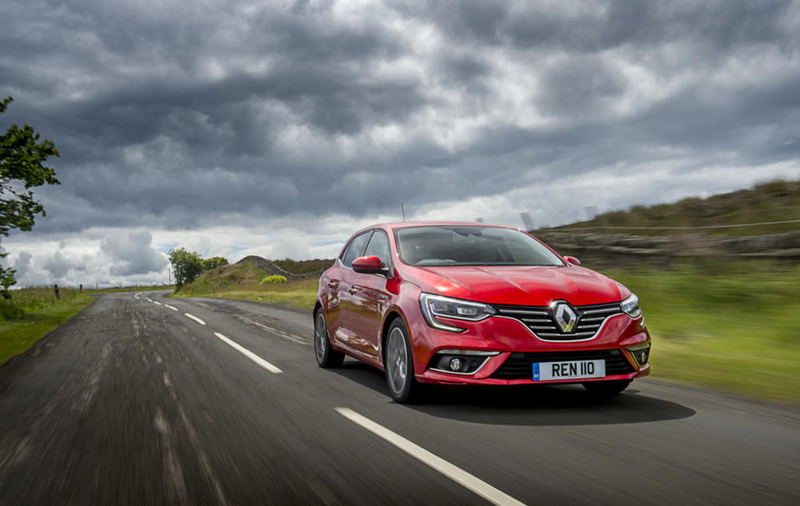 The new Megane moves Renault from being also-rans to contenders in the massively competitive family hatchback market. The striking design ought to catch the interest of new customers. They will find a practical, friendly value-for-money car, laden with the latest technology, frugal engines and, despite the flashy styling, a strong sensible streak. There's much, then, to like about the new Renault Megane; this time, it's definitely better than Donald Trump.